Matte lipstick is an extremely trendy product. It has gained extreme popularity in recent years. Many celebrities and models choose to show off their matte lipstick choices to runways and special events. Popular makeup gurus on the Internet have published extensive tutorials on how to successfully apply matte lipstick. 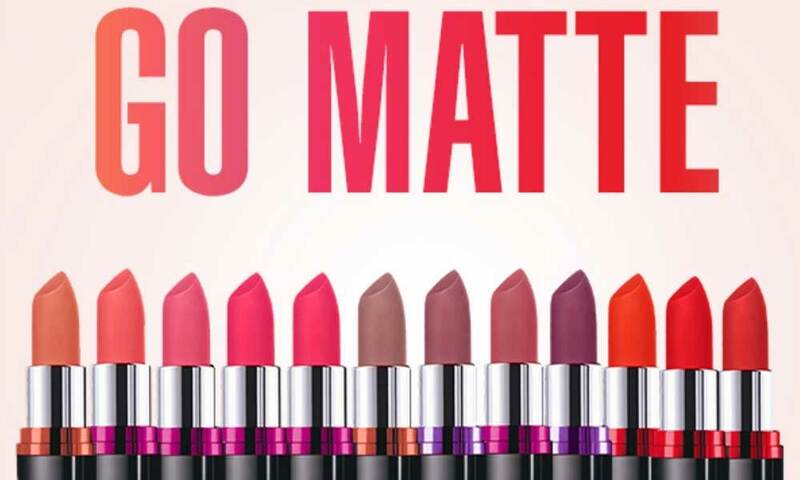 Multiple drugstore and higher-end makeup brands have released complete lines of matte lipsticks in order to keep up with the high demand for these lipsticks. Lipstick with a matte finish enhances your lips by making them appear larger and more dramatic. Matte lipstick transforms your lips into a gorgeous focal point for any look. There are downsides to some matte lipsticks, however. Many types of matte lipstick significantly dry out your lips. They make your lips appear dry and flaky, which is not an attractive look to have. Even some of the matte lipsticks that higher-end makeup brands offer add excessive dryness to the skin of your lips. Top-quality matte lipsticks add hydration to your lips and combine moisture with a classic matte finish. If you want to wear matte lipstick successfully and ensure that your lips stay hydrated and look flawless, it is important t0 purchase matte lipstick of the highest quality. This gorgeous matte lip color is somewhere in between a lip liner and a lipstick. The thick lip pencil is the best of both worlds. It is thin and pointed enough to allow for precision of application but provides the color and coverage of a lipstick. The lip pencil has a twist-up container so that you never have to sharpen it between uses. Infused with vitamin E, vitamin A, and vitamin C, this matte lip color hydrates, conditions, and nourishes your lips during wear. It dries to a classic matte finish, but it never dries out your lips. Also, the color is extremely long-lasting; it stays on your lips all day long without requiring reapplication. 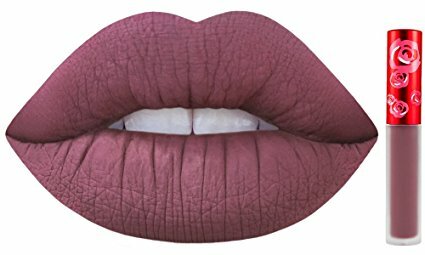 This matte lipstick is the creamiest lipstick with a matte finish that you can find on the market. 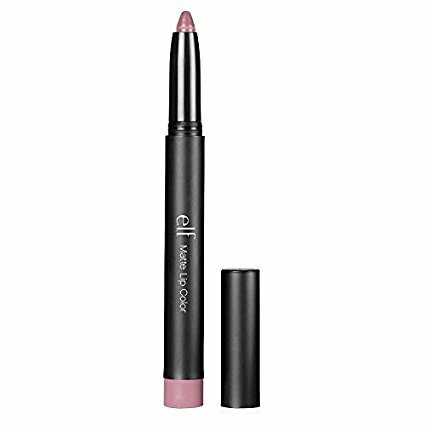 It slides effortlessly onto your lips and is extremely easy to apply smoothly and evenly. Almost immediately after application, the lipstick dries to a soft, clean matte finish. The lipstick includes three independent precious oils. These oils provide the lipstick with its creamy texture. They also ensure that the lipstick continues to hydrate and condition your lips even after it dries. 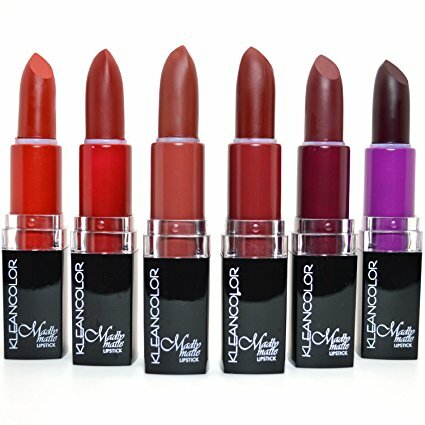 This set of six matte lipsticks from Kleancolor provide you with a broad range of shades, all with a delightful classic matte finish. The shades within this set offer both neutrals, brights, and darks; they range from a dusty rosy pink to a bright red to a dark purple. The colors are extremely vivid and do not fade or feather even with all-day wear. The formula of these lipsticks is non-drying. It applies smoothly to your lips and dries to an uber-matte finish that never causes flaking or other signs of dryness. A girl can never have enough red lipstick, especially when these lipsticks come with a smooth matte finish. This set of matte lipsticks from Color City includes six different shades of red lipsticks. The shades range from an orange-red to a bright red to a dark burgundy red. All of the lipsticks are extremely pigmented and last all day long without fading, flaking, or feathering. These lipsticks dry to a very soft matte finish. The formula’s finish has a very slight, subtle shine that prevents your lips from looking dull while still providing you with a classic matte color. The coverage of the lipsticks is superb; you don’t need to apply an excessive amount of product in order to coat your lips for all-day wear. This matte lipstick from Milani excels in every area. Its color is vivid, vibrant, and extremely pigmented. The strong pigment of the shade does not wear off of your lips until you choose to remove it, even if you want to wear it all day long. This lipstick also has the ultimate texture. It is lightweight yet creamy and smooths easily onto your lips to help you achieve even coverage all over. Best of all, this lipstick never dries out your lips. Instead, it nourishes and hydrates the skin of your lips during wear. It is infused with vitamin A and vitamin C. These vitamins condition your lips and add moisture to them while you wear the lipstick without interfering with the color’s matte finish. This matte lipstick also available at drugstore. 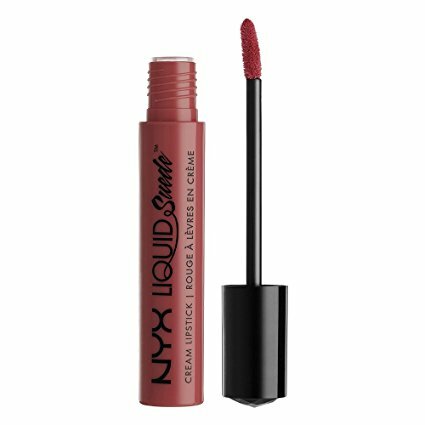 This matte lipstick from NYX Cosmetics comes in a creamy liquid formula. Its liquid formula makes it extremely easy to smooth onto your lips. The lipstick has a velvety texture that help it spread evenly and feel soft and natural on your lips all day long. This lipstick never feels sticky or heavy like many other liquid lipsticks. Instead, it is very lightweight. However, despite its lightweight finish, the lipstick stays on your lips all day long without fading or flaking. Plus, this lipstick dries to a velvety matte finish that looks completely natural on your lips. If you’re looking for a lipstick that offers your lips with intense nourishment and hydration but still has a matte finish, look no further than this lip cream from NYX Cosmetics. As its name suggests, this lipstick is, in fact, very creamy. The texture of its formula is extremely velvety and is somewhere in between that of a lip gloss and a classic lipstick. This lip cream smooths onto your lips evenly without requiring extreme effort or precision. Once applied, the lipstick feels silky and soft on your lips and dries to a classic matte finish within minutes. During wear, this lipstick soothes and conditions your lips with extreme moisture and hydration while retaining its matte finish. It will last on your lips without fading all day long. This matte lipstick comes in a wide variety of extremely bold, vivid colors; it is hyper-pigmented in order to create a dramatic focal point for any look. Its texture is very soft and dries with a silky, velvety finish that feels comfortable on your lips all day long. This lipstick dries to an opaque, matte finish that does not fade, feather, or dry out your lips. This liquid matte lipstick is one hundred percent certified cruelty-free. It does not include any animal by-products and is created without any animal testing.